For the past 11 years we’ve been publishing these tiny little books on the best-loved (sometimes hated), most popular and often most misunderstood albums in pop, rock, soul, hip-hop and electronic music. And we’re still going VERY strong. 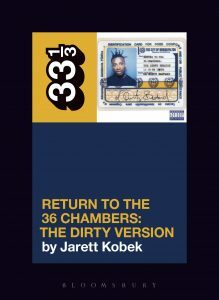 Thanks to an amazing crop of books over the past two years, the 33 1/3 series re-launch under Bloomsbury Academic has been a huge success. Special congratulations are due to Jordan Ferguson for his book on J. Dilla, which was our bestselling title in 2014. And of course to Carl Wilson for his book on Celine Dion, our bestselling title overall. Around this time last year I posted, on this here blog, an announcement of the open call for new 33 1/3 proposals. As you may know the titles in the series are selected from proposals submitted from writers around the world. I received over 400 submissions and selected 14 titles to become books. The first of those is already ready and will be available May 21st. That’s Koji Kondo’s soundtrack to the Super Mario Bros video game by Andrew Schartmann. Around then we’ll also publish 33 1/3rds on Devo’s Freedom of Choice by Evie Nagy (with a forward by Fred Armisen) and the Dead Kennedy’s Fresh Fruit for Rotting Vegetables by Michael Stewart Foley. the next open call will be posted on 333sound.com at the end of June 2015 with proposals due in early August 2015. I hope this late summer date will give a lot of you writers/teachers more time to formulate your proposals. Please don’t submit proposal before the official start date as they will not be considered. As always, the guidelines will generally be the same as last time: you can find those here. I’ll try and respond to any additional queries in the comments below but please note that I can’t respond to every email I receive. 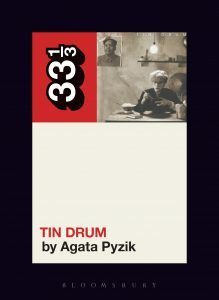 Did you know that 33 1/3 makes up a very small part of the Bloomsbury Academic music list and in addition to the 33 1/3 series, we publish really neat books in popular music and sound? If you like Kevin Dettmar’s literary take on Gang of Four…then you might like Simon Warner’s Text and Drugs and Rock ‘n’ Roll. Like Marc Weidenbaum’s book on Aphex Twin? Then you might like eldritch Priest’s Boring Formless Nonsense: Experimental Music and the Aesthetics of Failure. And in case you haven’t heard, we’re publishing a textbook called “How To Write About Music” this month that I co-edited with Bee Thousand author Marc Woodworth. 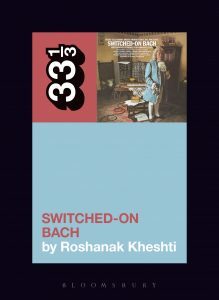 You might want to pick up a copy since there’s a chapter called “How Pitch a 33 1/3.” Just sayin. Watch 33 1/3 author Michael Stewart Foley in a Music Video! I noticed a very strong lack of women authors overall. Is the series actively trying to recruit female talent to remedy this? Is there a preference towards obscure, underground bands, or are all bands equally considered? Similar to one of Mike’s questions, how much of a handicap is it if you don’t have publications under your belt? Of the nonacademics, many seem to be music journalists or writers of one kind or another. If you aren’t a published writer already, are your chances severely diminished? I have two books I am planning. One I will co-write and the other I will be the sole author. Will I be able to submit both? Do I have to choose between working with my partner and working alone? Hi Tom, we only allow one submission per person. To work out if it’s worth engaging in the fairly lengthy proposal-submission process in the first place, can you give a sense of how many copies 33 1/3 books tend to sell? Either on average, or the best sellers? Annually, or over several years – whichever you prefer. Is it worth trying to re-tool a proposal sent last year and submit it again for consideration…or is the fact that it didnt even make the top 100 cut-off to mean “just forget it,pal”? Do non-academics realistically have a shot at getting published?….I’ve noticed,in the last crop,every single author has been published in high-profile publications and/or phd ,etc…. Is it okay to re-submit a past proposal, or should I move on to another album?